The Korea Conflict of 1950 emphasized the need for maintaining a naval presence in Okinawa. On February 15, 1951, the US Naval Facility, Naha, was activated and later became commissioned on April 18th. Commander Fleet Activities, Ryukyus was commissioned on March 8, 1957. On May 15, 1972, upon reversion of Okinawa to Japanese administration, the two organizations were combined to form Commander Fleet Activities, Okinawa. With the relocations of Commander Fleet Activities, Okinawa to Kadena Air Base on May 7, 1975, the title then became Commander Fleet Activities, Okinawa/US Naval Air Facility, Kadena. Originally, naval communications on Okinawa was provided by a Naval Communication Station located on Futenma Marine Base. The NAVCOMMSTA relocated to the Navy Air Base, Naha City and became a department of the Naval Air Facility, Naha. In May 1972, NAF Naha was combined with Fleet Activities Okinawa. 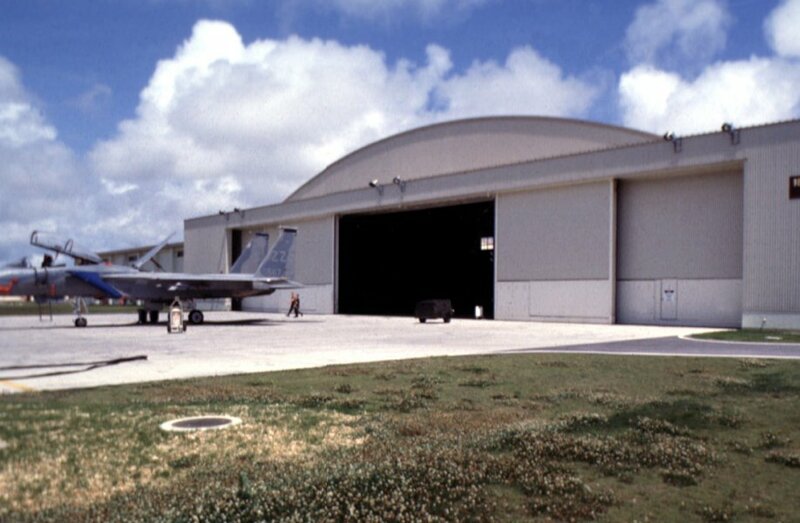 In 1975, the Naha base was disestablished and all naval facilities were relocated to Kadena Air Base becoming Commander, Fleet Activities Okinawa. 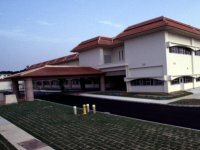 During the same period, the Anti-Submarine Warfare Communications Center (ASCOMM) Department, an integral part of the Anti-Submarine Warfare Operations Center (ASWOC) of FAIRWING ONE DET NAHA, also relocated from Naha to Kadena. Naval Radio Transmitting Facility Awase, originally an Army/Air Force communications site, was transferred to the Navy in 1966 and eventually became part of Commander Fleet Activities Okinawa Communications Department. NAVCOMM Det Okinawa was established and joined the NAVCOMTELSTA team in February 1991. NAVCOMM Det Okinawa consists of Tactical Support Center Communications (TSCCOMM) Division, COMSEC Material System (CMS) Division, Naval Radio Transmitter Facility (NRTF) Awase, and Surveillance Towed Array Sensor System (SURTASS) Division. NAVCOMM Det Okinawa is a tenant command of Commander Fleet Activities Okinawa, which is located on Kadena Air Base. The four work centers are located on Kadena, NRTF Awase (a separate 132-acre facility on the Eastern side of Okinawa) and Fort Buckner in central Okinawa. Remotely controlled receivers are located at NSGA Hanza. There are 52 personnel assigned, comprised of 46 U.S. military personnel and 6 Japanese Nationals. The detachment administrative offices, housing and support facilities are located on Kadena Air Base. NAVCOMM Det Okinawa has been awarded the CY97 COMNAVTELCOM TYCOM Readiness Management System award for outstanding department. The mission of NAVCOMM Det Okinawa is to provide communications support for SEVENTH Fleet and supporting units, U.S. Naval Forces Japan, U.S. Naval Forces Korea, Defense Information Systems Agency and the Japanese Maritime Self Defense Force. The detachment has four work centers: 1) TSCCOMM provides telecommunications support for Patrol Wing ONE Det Kadena, deployed patrol squadrons and Marine Wing Detachment; 2) CMS provides communications security (COMSEC) materials and cryptographic equipment to Patrol Squadrons and detachments, and to Commander Amphibious Group One/CTF76, located at White Beach; 3) Naval Radio Transmitter Facility (NRTF) Awase provides HF transmitter support to the fleet and area commanders and LF transmitter support for submarines operating in the Pacific and Indian Oceans; and 4) SURTASS supports command and control functions to SURTASS ships operating in the Indian Ocean and Western Pacific. 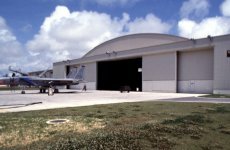 Kadena Air Base history dates back to just before the April 1, 1945, US invasion of Okinawa, when a local construction firm completed a small airfield named Yara Hikojo near the island's village of Kadena. The airfield, used by Japanese warplanes, was one of the first targets of the US 10th Army and was captured just hours after American troops stormed the island. What the Americans captured was nothing more than a 4,600 foot strip of badly-damaged coral runway. Army engineers quickly made repairs and, by nightfall the same day, the runway could accept emergency landings. Eight days later, and after some six inches of coral were added, the airfield was declared operational and put into immediate service. By August 1945, an additional runway was built and the original runway lengthened and improved to accommodate bombers. Kadena Air Base was born. The surrender of Japanese forces in the Ryukyu Islands came Sep 7 the same year. General Joseph Stilwell accepted the surrender in an area that would later become Kadena's Stearley Heights housing area. The 316th BMW remained at Kadena until deactivation in 1948. Although Kadena originated as a fighter base, a B-29 organization -- the 316th Bombardment Wing -- was the first element responsible for operating the base. An advance element of the 316th was prepared to fly combat and returned to Kadena in June 1950 when the 19th Bombardment Group arrived from Andersen AB, Guam to fight in the Korean War. In August 1950, the 307th Bombardment Group arrived at Kadena from MacDill AFB, FL, adding to the base's growing bomber force. When the Korean War ended, the B-29s departed and, by 1954, had been replaced with F-86F fighters from the 18th Fighter-Bomber Wing. In March 1955, the 313th Air Division was activated at Kadena, replacing 20th Air Force as the senior US Air Force organization in the Ryukyus. The primary support unit for the newly-activated 313th AD was the 6332nd Air Base Wing. This wing went through many changes throughout the years, however, it was not until President Harry Truman announced the end of offensive action against Japan, August 15, 1945 that they could take to the skies. They later became the 6313th ABW from 1957-64, and then the 824th Combat Support Group from 1974-85. 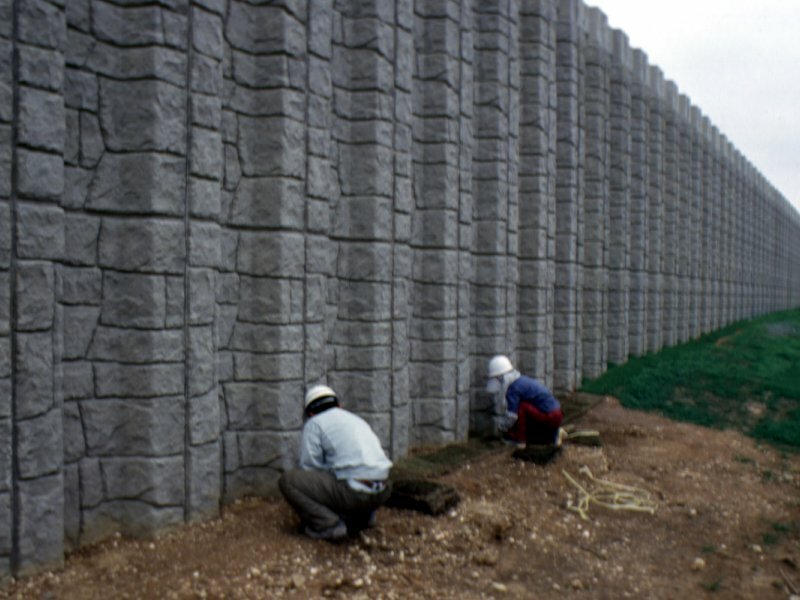 This facility spreads across Kadena town, Chatan town, and Okinawa city. This area is in the central part of the main island of Okinawa. 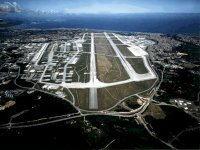 The air base has a 300 m overrun and two runways. (Runway A: 3,689 m x 91 m and Runway B: 3,689 x 61 m). It is the largest and most active US Air Force base in the Far East and is home to the 18th Wing, a subordinate of the Fifth Air Force. The 18th Wing and other units perform such tasks as aircraft maintenance, air defense, air counterattacks, air transport, support, and reconnaissance. 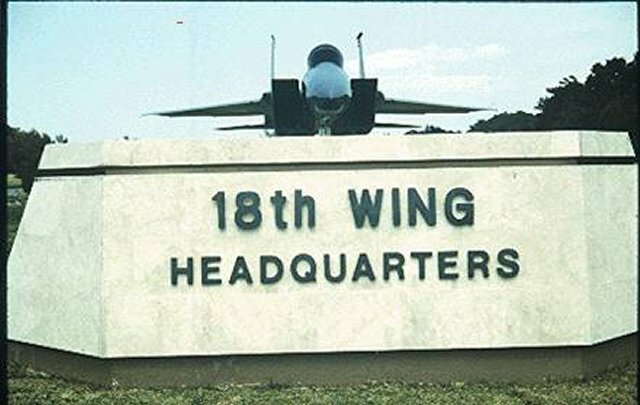 The 18th Operations Group is the main force of the 18th Wing. This group includes the Air Refueling Squadron, which comprises of the E-3B Sentry aircraft, the Airborne Warning and Control Squadron, which comprises of the KC-135R aircraft, and the 12th, 44th, and 67th Fighter Squadrons each of which comprise of eighteen F-15 Eagle jet fighters. This base consists of an airport in the northwest and a residential area in the southeast. There are support facilities in the residential district such as a school, library, baseball field, golf course, movie theater, and supermarket. In the southeastern area of the runways, there is an apron where various aircraft are stored including the F-15 Eagle, HH-60 helicopter, and the HC-130 rescue plane. In the northwestern area of the runways, which is on the same side as Yara district of Kadena town, the area is used for holding the Air Force's large aircraft and is where the Navy aircraft operations facilities are located. The area is used for engine testing and is also used to hold such aircraft as the KC-135 air refueling aircraft and the P-3C antisubmarine patrol aircraft. In addition, the E-3B airborne early warning and control aircraft is located here. In Okinawa's air space there are 16 training areas of 92,000 square kilometers exclusively reserved for the US Forces, which are 40 times the land area of Okinawa Prefecture. In addition, in the air space of Okinawa's main island up to an altitude of 6,000 meters, air traffic is controlled by the US Forces. Not only airplanes using the US military bases, but commercial flights entering this air space are required to seek permission from Kadena Air Base. 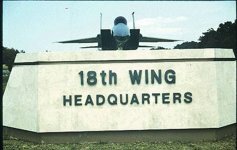 In the SACO Final Report of December 2, 1996, it was agreed upon that the MC-130 aircraft in Kadena Air Base would be moved from the Navy ramp to the northwestern corner of the main runways by the end of December 1996. The move from the Navy ramp to the northwestern side of the runways, which is approximately 2,500m^2 away, was completed in Mid-December of that same year. It was also agreed upon in the SACO Final Report that the Navy's aircraft (P-3C) would be moved to the other side of the major runways.